For the past 12 years, the designers, writers, and developers of Ready At Dawn have pushed the boundaries of video gaming as far as they can go across platforms and devices. The team creates rich, immersive games that leave players in awe and other companies scrambling to catch up. Now, the company is poised to tackle the ultimate gaming challenge: virtual reality. The Order:1886 courtesy of Sony Computer Entertainment America LLC. Ready At Dawn was founded by a team of passionate game makers, led by Ru Weerasuriya, co-founder, chief creative officer and president. Their goal: to set a new course in the evolution of video games. Ready At Dawn develops new games by drawing on the inspirations of its employees. One or two people might have an idea about a gameplay mechanic, a story or a world they’d like to create. Once an idea starts to jell, it’s assigned to a 5-to-10-person project “pod” of artists, engineers, developers, and writers. Using their diverse talents and perspectives, the pod members develop proofs of concepts, evangelize the project, and pitch it as “what’s next” for the company. To bring ideas to life, the team built a number of proprietary development tools for visual effects, 2D and 3D modeling, and scripting on top of Maya, to create a common game-making platform that all of its artists, designers, and developers use. Integrating the team’s workflow with Maya promotes fluid collaboration, and gives the company the flexibility to switch genres, create games on multiple gaming platforms, and jump to new platforms. The team created several games for the PlayStation Portable, breaking new ground by delivering console-quality gameplay on a handheld device. From there, the company decided to take on an even greater challenge: developing its first original title, The Order: 1886, for the PlayStation 4 (PS4) console. create a game that feels “real”? Many video games set up their story with cinematics, short films or prerendered scenes that players watch before they engage in the actual game. 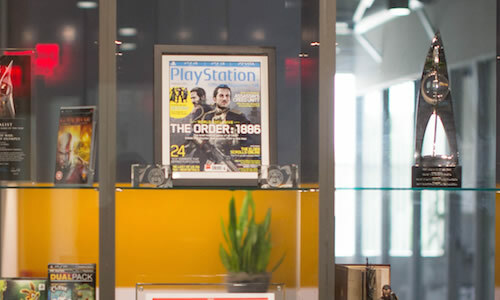 To dissolve these barriers and render every aspect of the game in high fidelity—in real time—the team needed to push the PS4 game console to its limits. 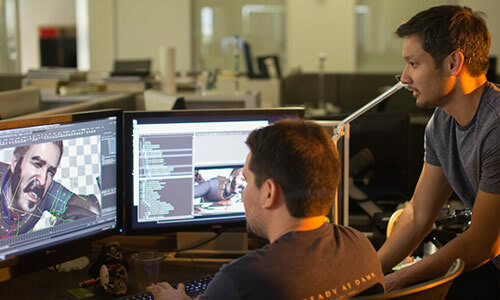 Team members also pushed themselves to master advanced motion capture, cutting-edge character animation techniques, and complex soft-body physics software. Set in an alternate-history London, The Order: 1886 is based on Weerasuriya’s original short stories. To showcase their industrial-era vision in all its grimy, dusty glory, Ready At Dawn team members built a suite of camera lenses, lighting effects, shader systems, and post-production tools. Their goal was to create the look and feel of movies and TV, instead of the sterile, artificially perfect environment of typical video games. Materials like textiles were modeled from actual fabrics to capture the feel of the cloth and the way light hits every fiber. The Order follows a legendary order of knights battling for centuries against supernatural enemies, while struggling to maintain their humanity. 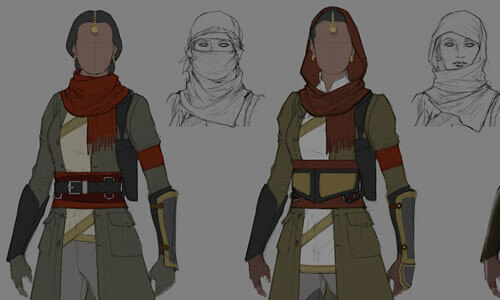 Getting players to connect emotionally with the game’s heroes was a challenge for the Ready At Dawn artists: It was all about the details. Actors, models, and even fellow Ready At Dawn employees took part in extensive motion- and facial-capture sessions that were used to create the details to make characters come alive. 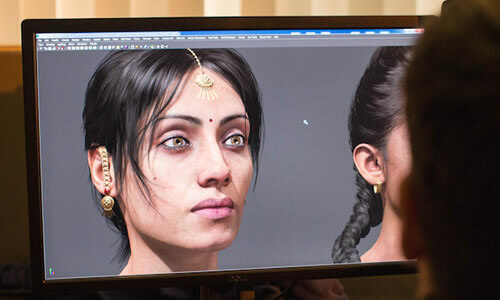 Advanced rendering tools helped the team accurately portray eye movement, and hair and skin textures. Now, Ready At Dawn is gearing up to tackle gaming’s next challenge: virtual reality. The team is developing a title for Oculus Rift, the first full-scale production virtual reality headset. Placing players inside the game introduces a new frontier of nonlinear storytelling and immersive gameplay. Instead of creating a standard storyline, game designers and writers must create “moments” that can diverge in multiple directions, depending on the choices that players make.